Hanged out in Hakata with my old friend. Went to Cafe Espressamente Illy. We did a gift exchange as usual. She gave me lovely cosmetics from Paris and a few books. This flower shape is actually a cheek powder. So cute. over a lunch and a cup of tea. -Carries Turkish kilm cushion. Grilled mackerel sushi was so delicious! -Spacious ocean view modern villa located in a gated community up on the deep hill. The exhibition between March & June is "Mother & Child". All monochromatic photos are from around 1950s. A young mother, old mother, modern mother, tough mother, mother with refined kimono, all different mothers with their kids from the era are pictured in a nostalgic setting just like an old movie scene. I couldn't help imagining the stories behind these photos. 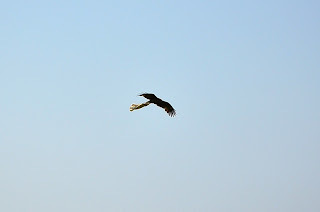 A kite was flying around in the blue sky holding a piece of paper or towel. The folk guitar club my mom belongs to performs live concerts at local retirement centers almost every month. This one just happened the other day at the elderly care center called "Nukumori" -meaning warmth that is a beautiful ocean front building in Kanesaki. Some audiences were singing cheerfully while the others were dozing off comfortably during the performance. It was a perfect sunny day for the event by the sea. Another lovely event was a lunch on a sunny (but a bit windy) day at the ocean view Italian restaurant called "Gashiyo del mare" in Fukutsu. We invited the staff of the mother-daughter party. They were such a big help. We ordered the same course but each of us was served a different dessert at the end, which was a sweet surprise. Fukuma beach has changed a lot since I was growing up. There are some more cafes that I want to stop by some other time. Back at home. These yummy looking sweets are from my customer who wanted to custom-order a ring. What a pretty gift. We discussed about the design over a cup of tea and a piece of cake. A hydrangea reminds me of a rainy season but this one is in full bloom quite early. Getting back to work gradually after the big event. I realized that not many older Japanese women have their ears pierced while my earrings are all pierced style. Some asked for replacing to clip-on and the others decided to go to get their ears pierced later after the event ,which was so adorable and made me smile. My wish is to create something that bring cheers and charms to wide range of age groups.